"Depending on the facts and circumstances, a separate date may be required for hearing on sentence, but it is equally permissible to argue on th question of sentence on the same day if the parties wish to do so." The Supreme Court has observed that there is no bar on the pre-sentencing hearing taking place on the same day after passing the judgment of conviction, if the accused and the prosecution are ready to submit their arguments. 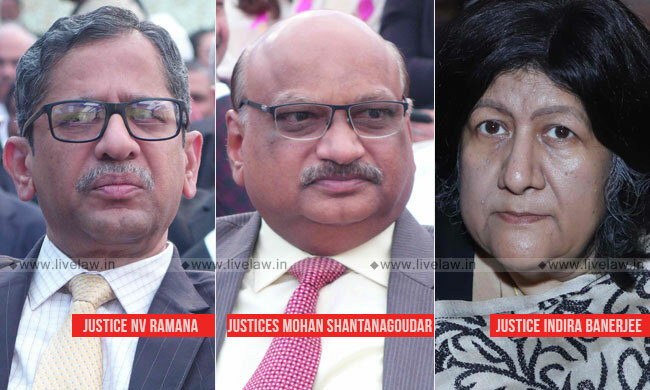 The bench comprising Justice NV Ramana, Justice Mohan M. Shantanagoudar and Justice Indira Banerjee observed that the object of Section 235 (2) of the Code of Criminal Procedure is to provide an opportunity for accused to adduce mitigating circumstances, but it does not mean that the Trial Court can fulfil the requirements of Section 235(2) of the Cr.P.C. only by adjourning the matter for one or two days to hear the parties on sentence. "We are of the opinion that as long as the spirit and purpose of Section 235(2) is met, inasmuch as the accused is afforded a real and effective opportunity to plead his case with respect to sentencing, whether simply by way of oral submissions or by also bringing pertinent material on record, there is no bar on the pre-sentencing hearing taking place on the same day as the pre-conviction hearing. Depending on the facts and circumstances, a separate date may be required for hearing on sentence, but it is equally permissible to argue on the question of sentence on the same day if the parties wish to do so." That the term 'hearing' occurring under Section 235 (2) requires the accused and prosecution at their option, to be given a meaningful opportunity. Meaningful hearing under Section 235 (2) of CrPC, in the usual course, is not conditional upon time or number of days granted for the same. It is to be measured qualitatively and not quantitatively. Non-compliance can be rectified at the appellate stage as well, by providing meaningful opportunity. If such an opportunity is not provided by the trial court, the appellate court needs to balance various considerations and either afford an opportunity before itself or remand back to trial court, in appropriate case, for fresh consideration. However, the accused need to satisfy the appellate courts, inter alia by pleading on the grounds as to existence of mitigating circumstances, for its further consideration. Being aware of certain harsh realities such as long protracted delays or jail appeals through legal aid etc., wherein the appellate court, in appropriate cases, may take recourse of independent enquiries on relevant facts ordered by the court itself. If no such grounds are brought by the accused before the appellate courts, then it is not obligated to take recourse under Section 235 (2) of CrPC. Referring to the Trial Court judgment, the bench observed that the accused was given a separate hearing on the aspect of imposition of sentence.